Workers sitting on tractor on Kibbutz Ruhama, Israel, October 2016. Photo courtesy of Ran Ferdman. By all accounts, Eilon Bdil has no personal interest in marijuana. But as the business manager of Kibbutz Elifaz, he’s a big believer in the herb. Bdil sees medical marijuana as a unique opportunity to revive his remote Negev community. Elifaz is one of dozens of kibbutzim – and hundreds of local companies — seeking to join Israel’s new medical marijuana industry. After decades of stagnation, the collectives are betting that the move can revitalize their finances and even their way of life. Israel’s gold rush – or “green rush,” as some are calling it – took off after the government in February threw its support behind legislation that would allow the export of medical marijuana. The Knesset is expected to pass the measure into law this summer — some industry insiders say as soon as this month. If that happens, Israeli companies would suddenly have access to a rapidly growing multibillion-dollar global industry. Export is part of a larger government plan to make Israel a world leader in medical cannabis. Yuval Landschaft, the director of the Israeli Medical Cannabis Agency, said well over 700 companies have applied for official permission to grow, produce, distribute and dispense medical cannabis. By the end of the year, he said, the agency would give the OK to the first new medical marijuana farms and factories. After playing a powerful role in founding and building Israel, the kibbutzim slid into social and economic crisis during the national financial crisis of the 1980s. Many young members decamped for the cities. By shifting away from their socialist roots — embracing differential salaries, members working off the kibbutz and non-members working on it — the kibbutzim, which number about 250, have largely stabilized. So far, the medical marijuana business has not been particularly lucrative for Elifaz’s more than 100 members and children. The vast majority of its income still comes from date and pomelo farming and tourism. Just last year, the kibbutz began paying differential salaries to its members, a reform most of the once rigidly collective communities have made. But Bdil, 42, who was born on Elifaz and returned to raise a family here, expects the years of experience to pay off when the exporting of medical marijuana starts. He said Elifaz also would benefit from its close ties with other kibbutzim. In the same way the kibbutz produces date honey and date liquor as part of a kibbutz conglomerate, Bdil said, it would one day manufacture cannabis products like extracts, creams and oils. According to Nir Lobel, 37, Elifaz’s secretary, the kibbutz voted to get into the medical cannabis business in part because it seemed like a natural way to update the traditional kibbutz ethos — and hopefully attract a new generation of members. “We’re pioneers, and this is a new journey. We’re farmers, and this is agriculture. We care about values, and this is a way to help people who are suffering,” he said. However, Hagai Hillman — one of Israel’s eight licensed cannabis growers, who co-owns a marijuana-centered pharmaceutical company called BOL Pharma — says most of the kibbutzim and companies rushing into the industry are being overly optimistic. “For those kibbutzim that don’t have money, medical cannabis is not going to be the answer. To survive in this market you need very deep pockets, and without vertical integration you’re lost,” he said, suggesting that profitable companies will control the medical marijuana supply chain from farm to pharmacy. Spector said Gezer had only recently paid off the debt that it, like most kibbutzim, wracked up during the Israeli financial crisis in the 1980s, and was ready to invest. She shares Bdir’s interest in making a principled profit. According to Spector, Gezer’s main asset is its land, which is located in the center of the country and is licensed for mixed use. As such, it would be relatively easy to build processing facilities near the crops — a major advantage many kibbutzim have over other farms. In contrast with Elifaz, Gezer is not motivated by a need for more members. The kibbutz is about 240 strong and expanding. It is building 16 houses for the founders’ children and new members, with plans to add 22 more in the coming years. Rather, Spector said, she wants Gezer to enter the medical marijuana industry to create communal employment opportunities. For young people, the business could mean a career close to home, and for pensioners, it could provide the purpose and extra income of part-time work, she said. Few kibbutzim embody the spirit of the movement better than Kibbutz Ruhama, which was established near the border of the Gaza Strip in 1943, several years before the State of Israel’s founding. Today, the kibbutz’s main business is the struggling KR Hamivreshet brush factory, and most of its some 200 members are of retirement age. According to kibbutz secretary Ran Ferdman, a 40-year-old third generation member, Ruhama voted overwhelmingly to partner with researchers to enter the medical marijuana industry, mostly in hopes of filling up their pensions funds, which were emptied during the kibbutz debt crisis. An Israeli kibbutz is taking considerable pride in a former volunteer, Democratic presidential hopeful Bernie Sanders, even though no one on the communal farm can quite remember him. In 1990 Sanders, then running for Congress, told Israel's Haaretz newspaper he had volunteered for several months as a young man at Kibbutz Shaar Haamakim, a community with deep socialist roots on the edge of the Biblical Jezreel Valley in northern Israel. Sanders, 74, has mentioned in the past that he once worked on a kibbutz, but its name remained a mystery until Haaretz republished its interview with him earlier this month. There are no records at Shaar Haamakim of Sanders' stint in 1963 and none of its veteran members can say for sure they ever met him. 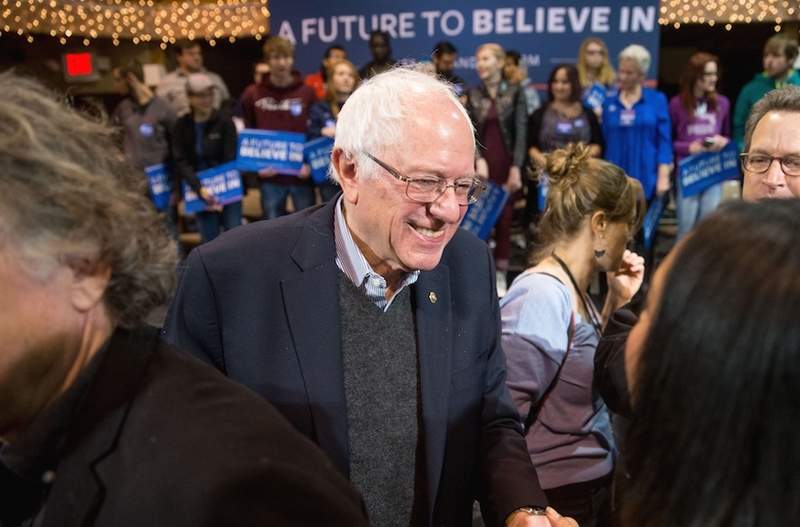 That hasn't stopped journalists from streaming into the community to try to dig for details about Sanders' experience at the kibbutz, where the Brooklyn-born Vermont senator, who is Jewish, is now the talk of the farm. “The fact that Bernie Sanders' name was linked with Kibbutz Shaar Haamakim is a big honor for the kibbutz,” said its chairman Yair Merom. Kibbutz elder Albert Ely, 79, told Reuters he couldn't put a face to the name but he remembered that “an American called Bernard” had once been a volunteer. “Everybody mentions it. Now that the election campaign began, there is great happiness in the entire kibbutz,” said Gilad Hershkikovich, who tends to its cows. Every morning, Bernie Sanders would wake up at 4:10 a.m. to pick apples and pears. The mystery over which kibbutz Bernie Sanders worked on while in Israel, before running for public office, may have been solved on Thursday. The Democratic presidential candidate and his brother, Larry Sanders, have said for a while that they have forgotten the name of the Kibbutz he volunteered at for almost 6 months in 1964, after his graduation from the University of Chicago. But on Thursday, Yossi Melman, a veteran Israeli journalist, tweeted that Sanders revealed the name of the Kibbutz during an interview over two decades ago. “It was reported that B. Sanders refused to say in which kibbutz he stayed in 60′s in Israel. In [a] 1990 interview, he told me Shaar Haamakim,” Melman tweeted on Thursday. Melman provided Jewish Insider with a copy of the interview (in Hebrew). Sanders is not quoted directly but the article notes the name of the Kibbutz, which was provided by Sanders. Sha’ar HaAmakim (Gate of the Valleys) is a kibbutz in northern Israel. In 2006, it had a population of 548, according to Wikipedia. A rocket fired from the Gaza Strip landed in an open area near a kibbutz in southern Israel not far from the Gaza border. No injuries or damages were reported from the rocket, which landed on Tuesday night, setting off alarms in several Israeli towns near northern Gaza, the Times of Israel reported. The attack follows several similar ones from Gaza in the past month, which are believed to have been fired by Islamic rivals of Hamas, the Islamist terrorist group that governs Gaza. Israel has said it holds Hamas responsible for all attacks originating in Gaza. The rocket comes a day after the United Nations Human Rights Council issued a report accusing both Israel and Hamas of possible war crimes in their Gaza war last summer. This year's harvest was especially merry at Degania Alef, Israel's first kibbutz, founded in 1910 on the shores of the Sea of Galilee. The community celebrated the birth of 11 children, its largest crop of babies in a quarter century. Twenty-five years ago kibbutzim, collective communities traditionally based on agriculture, seemed all but doomed. The pioneering socialist and Zionist spirit that drove the movement in the 1950s, '60s and '70s ran head-on into the consumerist, free-market 1980s and came off worse. The kibbutzim were hit hard by financial crisis that gripped Israel in the mid-1980s and youngsters abandoned the communal dream and headed to cities. Kibbutzim found themselves graying and failing. But the last few years have seen a surprising turnaround, with young families seeking to escape the high cost of living and alienation they find in cities for a cheaper, rural lifestyle in a closely knit community. In some cases the new “kibbutzniks” are those who left to try something different only to return later in life. Others include career city folk who want a complete change of lifestyle. At the annual harvest festival in Degania, girls donned white dresses and danced with flower wreaths to their heads. Tractor-carts carried children and fresh crops past stacks of hay, and the new babies were presented on stage. “Instead of old people's mobility scooters, you're suddenly seeing so many baby's pushchairs rolling along,” said Bosmat Viner-Shwarzbard, 38, as she nursed her baby daughter. Viner-Shwarzbard, a pastry chef, left Degania for the Tel Aviv suburbs when she was 16. She returned with her husband 17 years later and became one of the kibbutz's 350 members in May along with 16 others, another record high. In the kibbutz courtyard where Degania's founders built its first barn, her spouse, Oded, runs a restaurant that looks like any high-class dining spot in Tel Aviv. “Financially, building a home and family is much easier than in the centre. There's also no stress, it's protective, everyone knows everyone, there's a community, values, it's different from the city,” Oded said. There are 274 kibbutzim – mostly in Israel, though around 20 are in the West Bank and Golan Heights – and their population is growing rapidly, at 3 percent last year versus 1.1 percent a decade ago. The national average is 1.9 percent. Sociologist Shlomo Getz of Haifa University said the impact of young people returning was tremendous. “They are reviving (the movement), bringing with them many children, contributing to the culture of the kibbutz,” Getz said. Kibbutz residents make up less than two percent of Israel's 8.3 million population. But the communities have spawned much of the country's political, military and cultural elite and account for more than 40 percent of national agricultural output. Addressing their economic problems a decade ago, kibbutzim began a process of “privatisation”, incorporating free market structures while retaining a strong social safety net, including attractive health, welfare and education benefits. In 2007, after years of demographic stagnation, the trend turned with more people moving into kibbutzim than leaving. Some became members while others rented or bought homes in new neighbourhoods built on kibbutz land to generate income. The number of kibbutz newcomers has been growing since, spiking in 2011 when a social protest swept the country and hundreds of thousands of middle class Israelis took to the streets to demonstrate against soaring living and housing costs. Though some kibbutzim are still struggling financially, most are stable, if not thriving. Their main income now comes from industry, including from leading companies in Israel. Some communities have grown rich selling off land. The privatisation changes in kibbutzim and housing prices that can, in certain areas, be half those in the centre of Israel, have made moving there more attractive. In most of the communities, members no longer have to work largely in kibbutz-assigned jobs for a modest monthly allowance. Instead, they can pursue their own professional paths and earn their own wages, a portion of which may go back to the kibbutz. “The kibbutz shed some of the characteristics that had put people off, the collective would decide on your life – where you work, what you studied, whether you could travel abroad,” said Eli Ben-Rafael, sociology professor at Tel Aviv University, who headed a 2002 government panel that oversaw kibbutz restructure. About a third of kibbutzim are still mainly collectives. Kibbutz Ortal, a settlement on the Golan Heights with fruit plantations, advanced dairy technology and a small winery, is one of them. Salaries go to the kibbutz and members either get half the sum back or an allowance based on family size and seniority. Micky Neron, a freelance reporter, and his wife moved in 2012 from Tel Aviv to Ortal, where the chirping of birds contrasts with the occasional rumble of explosions from Syria's civil war nearby. “Working all day chasing a salary high enough to cover the rent seemed pointless,” said Neron, 31. Nir Ortal, 43, whose surname happens to be the same as the kibbutz, was sent in 2004 to New York by his hi-tech company. He and his wife chose to move and raise their two children in Ortal, where he works at a nearby start-up company. Like most kibbutzim, Kibbutz Ga’aton has agriculture and industry, but that’s not what has brought it notoriety. Instead, people from around the globe have been attracted to this spot in the western Galilee for its contemporary dance. Conceived in 1959 as the Ga’aton Dance Company and changed in 1973 to the Kibbutz Contemporary Dance Company (KCDC), it has become a beacon under the artistic direction of choreographer Rami Be’er. And now Be’er, 57, along with 18 dancers from KCDC’s main company, will be coming to the Wallis Annenberg Center for the Performing Arts in Beverly Hills for three performances Nov. 19-21. Be’er’s parents were among a group of Hungarian Holocaust survivors who arrived in Israel in 1948 to build a new life, founding the tiny Kibbutz Ga’aton settlement near the Lebanon border. Be’er was taught by his architect father, now 90, to play cello at a very young age, and the entire family — he has three sisters — still plays chamber music together. His mother, now 87, worked in the kibbutz library. But it was dance class that Be’er, even at the age of 3, anxiously looked forward to. Arnon, who died last year, was a young Orthodox dancer from the former Czechoslovakia, who was punished during the Holocaust for sharing her passion of movement with other prisoners at Birkenau and refusing to perform for the Germans at a Christmas event. Ordered to stand barefoot overnight in the snow and later surviving a firing squad, Arnon decided that if she didn’t perish in the war, she would make dance her life’s work. She brought the idea of creating a modern dance company to the Kibbutz Ga’aton, though there was resistance at first, as many in the socialist community favored the more inclusive style of traditional folk dance. After serving in the Israeli army, Be’er spent one year working on the kibbutz in the avocado orchards and then decided to join the dance company. He became the artistic director upon Arnon’s retirement in 1996. Be’er changed the structure of the company from its repertory style, where different choreographers work on each project, to having his artistic control be the guiding creative force. He often creates the entire production package from the music, costumes, lighting, set design and choreography — but that doesn’t mean it’s a one-man show. The upcoming performances at The Wallis will feature “If At All,” a piece that Be’er created in 2012. It is 65 minutes long with no intermission. Be’er insists there is no formal story behind the piece. With a little prodding, he explains that “If At All” broadly investigates human beings existing in different circles of life — relationships with oneself, partnerships and society. Be’er is aware that Israel often is connected with the political issues of terror and conflict, and those concerns do influence his work. However, his optimistic nature would rather he expose the other sides of the Jewish state, focusing on art and creativity. “I am not naive that a piece of art can change the world or can change a political or social issue. But, if in the end of this journey, when the lights come up, the spectator gets up from his chair and takes with him some question marks to think about … this is our modest contribution in helping create a better world to live in,” he said. The quiet, lush environment of kibbutz life provides a great deal of inspiration for Be’er and the other dancers. Along with the 400 kibbutzniks, 60 people make up the core group of KCDC that live together in an area called the Dance Village. There is a junior company (KCDC 2) that concentrates its efforts on Be’er’s mission of educating young people and exposing them to the world of dance. He believes the art form can help children discover strength, patience and a deeper window into themselves. KCDC offers five- and 10-month extensive training programs. Dancers come from all over the globe in hopes of being accepted, and most have professional aspirations. It is essential to Be’er’s contemporary style that the dancers be educated in classical and modern techniques. Throughout the year, nearly 400 students come from nearby areas, including an Arab village, to take dance, movement, Pilates and yoga classes. There are future plans to build additional studios and incorporate an academic school. “We want to create the space for dancers to live, and help their dreams come true,” Be’er said. The families surround long tables covered by white tablecloths. Festive decorations line the walls, and the kitchen is free of chametz, the leavened foods forbidden on Passover. Seder plates sit in front of hungry participants. Its Haggadah features illustrations of landscapes and Jewish history drawn by a kibbutz member from the 1940s and includes biblical verses not found in the traditional text — from the book of Exodus as well as from “Song of Songs,” which traditionally is read on Passover. Today, even many religious Israelis have incorporated nontraditional elements such as children's plays and modern songs into their own seders. But the kibbutzim take things further. Feinstein isn't ready to give up on the communal meal. Romney returned from a visit to Israel last week and praised the country’s culture as a critical element in boosting its economy. Kibbutzim, although internally adhering to varying degrees of collective principles, long ago adjusted to interacting with Israel’s free-market economy. Sagi’s observation sheds light on the influence of kibbutz volunteers on Israeli culture, their inspiring legacy worldwide, and the current financial and political challenges affecting this unique institution. Kibbutzim are small, multi-generational, agricultural communities characterized by collective ownership and management of resources as well as a cooperative lifestyle. The first kibbutz, Degania, was settled in 1910 by pioneering Zionists. The movement eventually grew to include 273 separate communities scattered throughout Israel and has played an integral role in defining the country’s borders throughout a turbulent century of confrontation and war. When the kibbutz volunteer program was initiated in the aftermath of the Six Day War in 1967, the country opened its doors to an influx of travelers from around the world. Young men and women came to explore Israel’s rich history, experience a pioneer lifestyle and share in the communal work ethic of the kibbutzim. Volunteers, who were often not Jewish, brought with them diverse cultural practices as well as an eagerness to be a part of Israel’s democratic and social experiment. Many volunteers married Israelis, or became so attached to the land and their work that they immigrated and achieved kibbutz membership. Today, they are some of the movement’s most devoted supporters and are helping to modernize and develop a “renewed kibbutz model” that will redefine and strengthen kibbutzim for the future. Shaun Deakin, a kibbutz volunteer who arrived in Israel in 1974 and later immigrated and settled at Kibbutz Dorot, recalls his inspiration to leave England and volunteer. “I was impressed by the labor politics of Tony Benn back home, whose worker cooperatives shared ideology with kibbutzim. Volunteering was an opportunity to meet folks from around the world and taught me the value of hard work,” he tells JNS.org. Throughout the 1970s the number of volunteers who came to work on kibbutzim steadily increased, eventually amounting to 12,000 annually. Volunteers worked in agriculture and at kibbutz factories, managed livestock, were educators and caretakers of the elderly, and performed many other industrial and civil tasks. During the 1980s, however, many kibbutzim began to struggle financially, and the tide of volunteers was quickly stemmed as individual kibbutzim went bankrupt or were privatized. Although volunteers continued to offer a cheap source of labor, the kibbutz movement at that time suffered from poor management and the absence of a unified ideology. Attracting foreign laborers and promoting a cultural exchange became a low priority. Additionally, the chaos of the Intifadas after 1987 contributed to a sharp decrease in volunteerism throughout the ensuing decades, reaching a nadir in 2001, when only 100 volunteers arrived in Israel to work. Despite these dispiriting statistics, the program ultimately survived. In recent years, participation has gradually recovered. “Volunteers are still the cheapest form of labor, ” the Kibbutz Program Center’s Sagi tells JNS.org, reiterating the principle reason for the program’s resilience. The program is a system in which everyone wins. Nevertheless, it has been difficult to rebuild the volunteer presence to the levels achieved in the 70s. This is primarily because of new immigration and work-status restrictions imposed by the government and reluctance on the part of many kibbutzim to reengage the program. “In the past, things were more open,” Sagi laments. New regulations initiated in 2010 limit the age of volunteers to 35 or below, require volunteers to pay for the program prior to arriving in Israel, and shorten the time they are allowed to stay in the country. Sometimes it is hard to place volunteers on kibbutzim. Only 10 percent of Israel’s kibbutzim are now participating in the program, and according to Deakin, volunteers may be cheap, but they are not always the ideal work force. “It’s a question of commitment,” he says. “Only occasionally do volunteers really work.” When Deakin attempted to restart Kibbutz Dorot’s volunteer program in 2009, he began by accepting many volunteers but has gradually discontinued his involvement with the program. Teaching a new staff to perform agricultural work every three months was a tedious process and a drain on resources. Deakin is not disappointed that his initiative to restart volunteerism was stymied. He recognizes that volunteers were not a pragmatic solution to Kibbutz Dorot’s specific labor needs. This is the challenge that Sagi faces on a daily basis. How does she extend the volunteer program internally, despite financial realities, and kibbutz employers’ desire to hire consistent and experienced workforces? Additionally, she must keep program costs down so that volunteering remains an attractive opportunity abroad. When asked how the Kibbutz Program Center is adapting to better accommodate the needs of kibbutzim and the interests of volunteers, Sagi is optimistic. She cites initiatives like the improved website, providing a clear and inviting synopsis of the volunteer experience, and the sponsored monthly field trips in Israel that volunteers are guaranteed as part of their contract. There are 16 countries now housing kibbutz program offices and volunteer recruitment centers. Though reinvigorating volunteerism in Israel has proven difficult, both Sagi and Deakin recognize the essential value of this foreign exchange. “Volunteers return home with completely different perspectives of Israel and talk positively about their experiences,” Sagi says. Back in the 1930s and ’40s, when Diaspora Jews desperately needed a symbol of Jewish strength and pride, the brawny, sunburned kibbutznik became the poster image for the new Jew emerging in Palestine. Two generations further on, the straightforward picture has become blurred. The kibbutznik astride a tractor has been largely replaced by the high-tech entrepreneur as the face of modern Israel, and most kibbutzim have had to drastically change their outlook and functions in order to survive. The film, richly studded with black-and-white footage of early kibbutz labor and celebrations, provides a useful, unsentimental look at kibbutz life, from the founding in 1910 of Degania Alef, the flagship commune, to a more recent phenomenon, the urban kibbutz. Toby Perl Freilich, the film’s director, producer and writer, discovered kibbutz life in the 1970s, while visiting her younger sister, who, to the horror of her immigrant parents, had decided to chuck the American dream and live in a kibbutz. For her documentary, Freilich visited some 25 of the existing 270 kibbutzim and selected five for closer examination. The first is Kibbutz Ein Shemer, between Haifa and Netanya, founded in 1927 along the pure ideological lines of a communist commune, a realization of a vision that the Soviets never accomplished. All property and assets belonged to the kibbutz; children were, for the most part, raised in a group away from their parents; and committees regulated lifestyles and settled disputes. In return, members received all of life’s necessities, from food and clothing to education and health care. This is no exaggeration. Although in 1948, the year of Israel’s independence, kibbutz members made up only 5 percent of the then-600,000 Jewish population, their ranks were the source of the new nation’s political leaders, ideological shapers, the shock troops of the Palmach and the officers of the defense forces. Ben Avraham has put his finger on the kibbutz’s sorest spot. As Israel has turned from a socialist to an entrepreneurial capitalist society, most of the second and particularly the third generation are abandoning the egalitarian dream for the challenges and rewards of a freer, more competitive and individualistic outside world. In this sense, the kibbutz history parallels the fate of the utopian communities in America built before and during the 19th century. Few such enclaves could retain the fervor and idealism of their founders beyond one or two generations. In the late 1960s, the stability and image of the kibbutz movement started to disintegrate. There were bitter internal political splits and growing dissatisfaction with the collectivized lifestyle. Kibbutzim built large swimming pools, much envied by city dwellers, and many assumed large debts, which they could not repay when the economy soured in the 1980s. The kibbutzim that have best met the challenges of survival are those that adapted to the new social and economic realities of Israel. These days, almost all kibbutzim have added an industrial and manufacturing component (frequently high-tech), reward managers with higher salaries and have returned responsibility for child rearing to the parents. There are some cautiously encouraging signs for the movement’s survival. Recent statistics puts kibbutz membership at an all-time high of 140,000, though the figure is somewhat deceptive — considering the tenfold increase in the country’s Jewish population since 1948, the percentage of kibbutz members has actually dropped from 5 to 2.3 percent. Over time, many kibbutzim have transformed themselves from purely collective to semi-privatized communities. This change, for instance, allows many young couples who work in outside jobs to live and raise their children in the open kibbutz spaces. Another interesting development is the formation of a few urban kibbutzim, such as Kibbutz Tamuz in the city of Beit Shemesh, west of Jerusalem. Its members hold a range of city jobs but pool their resources and strive for the equality and social cohesion of the old rural kibbutz model. Freilich’s resume includes numerous awards for the documentaries “Secret Lives: Hidden Children and Their Rescuers During WWII” and “Resistance: Untold Stories of Jewish Partisans.” Her largest financial support for the kibbutz film came from the Foundation for Jewish Culture. “Inventing Our Life” opens June 8 at Laemmle’s Music Hall in Beverly Hills and Town Center in Encino. A long time ago, in a kibbutz far away . . .
Yoav was my kibbutz brother, secular and an ardent Zionist. He had an encyclopedic mind that could recite in detail kibbutz history, lore and socialist ideology. Today, Yoav is an equally intense, knowledgeable and ideological Charedi guy living in the Midwest. He recently offered to pay me money for introducing him to the woman he married more than 25 years ago. Our friendship dates back to the summer of 1970, when I was 19 years old. He was 17. It was my first trip to Israel. There was no way I was going to resist this kibbutz invitation. As Yoav led me through the grounds, we bonded instantly. He was a brilliant, deep, complicated thinker. That afternoon he invited me to his parents’ house for the 4 p.m. tea, where I met his entire family. They became my Israeli family. I returned to the kibbutz for several summers. His parents were like my own parents, quenching and stimulating the thirst I had for understanding Israel and the Jewish people. They embraced me and scolded me. Yoav and I spent hours, late into the night, in ideological discussions, challenging one another’s views. When I returned to Los Angeles, we wrote long letters continuing on the summer’s debates. Two years after he went into the army, he evaporated. He stopped writing. My last summer at the kibbutz, he never appeared. His parents did not know what to tell me. During our first meeting, he was icy cold. We met again, and he warmed up a bit. We met a third time, and the ice melted and the river began to rush with explanations and admissions. His army years were terrible. He was now questioning the legitimacy of kibbutz life and the entire Zionist enterprise. He was angry and cynical. He hated anything having to do with Judaism. He knew two people in Los Angeles — me and a young lady named Suzie, who had lived on the kibbutz for several years. Suzie and I were both in advertising and sometimes did business together. She had an employee, a young Jewish woman who had moved to Los Angeles from a small town in the Midwest. We determined to fix her up with Yoav. They eventually married. I was the best man at their wedding. They began their married life in Los Angeles. Yoav left his cynicism behind and in Torah and Jewish learning found a path to funnel his questioning and his depth. The couple moved to a big city in the Midwest, near the town where they got married. I went once to visit, and then he again disappeared — into a world of yeshiva life, with little time to see me. My wife and I had three children. We began to take regular trips to Israel. On each trip, we made certain to go to the kibbutz. Yoav’s family embraced me, my wife and our children as part of their family. We have remained very close until this day. Yoav’s ultra-orthodoxy has not been easy for them. Over the last 16 years, since my visit to see Yoav, he and I have spoken about three times, mainly in my phone calls when his father died. I’ve waited to tell this story, because I didn’t know what its ending would be. “Gary, can you tell me the story of how you introduced me to Cheryl?” No small talk. No exchange of pleasantries. I began to jog my memory, jumping into the conversation as if it was natural. I didn’t want to do anything to make it difficult. “What?” he asked, equally taken aback by my question. He fumbled his words. We went back and forth. We were once again into the ideological discussion rhythm that we had established for ourselves 30 years before. It was familiar, and it was frustrating. Yet, there was none of the warmth that used to lace every volley. As men in our 50s, we were getting nowhere with the discussion. Finally, I stopped the bouncing ball. “Why, Yoav? Why did I introduce you to Cheryl?” I wasn’t going to let it slide. I could tell he hated to have to admit it. But I know this man. He had no choice, when it came to his soul, but to tell the truth. Two months later, I received a kiddush cup in the mail. It’s now been two years. I’ve never heard from him. Gary Wexler is founder and president of Los Angeles-based Passion Marketing, consulting with Jewish and general nonprofit organizations throughout the world. What’s so good about Israel? Let me tell you! It took me six years of living abroad to love Israel as passionately as I do. As soon as I returned from two months of living in China, two years of high school in Italy and four yearsof college in the United States, I became convinced that there is simply no better place than Israel for Israelis. You see, Israelis have this inexplicable urge — a genetic disposition perhaps — to want to live abroad: “Israel is too small,” “Israelis are too nervous,” “life under terrorism is unbearable.” They just need to get out. Israeli youths drool over the possibility of getting a European passport from their deceased, Holocaust-surviving great-grandmother and leaving the Middle East behind, wrapping it with a cloud of dust. If not to Europe, Israelis fancy winning the green card lottery or marrying an American stranger in the midst of Manhattan, just to be able to live and work legally in the United States. Against the common view that life elsewhere is better, and with a bag loaded with juvenile experiences abroad, I confess to you that life in the heart of the Middle East is 10, if not a hundred times better for Israelis than anywhere else in the world. What’s so good about Israel? What I intend to do is argue that there are phenomenal things about Israel that Israelis often tend to overlook, forget or maybe are genuinely unaware of. I’ll explain precisely what I mean. Let’s start with how real everything in Israel is. I personally think there is something charming about how Israelis always tell you the truth, whether you like it or not. If you’re fat, they won’t call you “big.” If you are stupid, they won’t say you are “cerebrally challenged.” If they’re upset with you, they won’t pretend you have just made their day. The absence of the politically correct allele from the Israeli genome might be considered rude in the eyes of a foreigner. But the fact is, that it creates a culture of openness that melts down interpersonal barriers and ultimately makes Israelis feel and behave as though they were all brothers and sisters. Nowhere else in the world have I found the same level of genuine concern about a total stranger as I have in my own country. Here, if you fall off your bicycle in the middle of the street or in a dark street corner, be sure that within seconds you will be surrounded with at least five absolute strangers who will be there to offer you a hand and put you back on your feet (without actually stealing your bike). Whether it is the imprint of the Israel Defense Forces’ unit cohesion, the Jewish sense of a shared destiny or the remnants of a socialist system, Israelis strongly — and genuinely — care about each other. It’s simply lovely to know there is always someone who’ll be there to help you out and that you’re never truly alone. Beyond the realness and the camaraderie that characterize Israel, Israelis indulge in one of the most exotic and enjoyable lifestyles found anywhere in the world. It takes a Manhattan-based investment banker to appreciate the fantastic work-life balance struck in the Holy Land. While Sundays aren’t off, Fridays recently have become half workdays, thus leaving the average Israeli employee with no more than 60 hours of work per week, at the very most. The rapidly urbanizing society has become a cradle of the cafe culture. Whereas Starbucks startlingly went bankrupt here several years ago, local Israeli coffee chains are bustling with young, as well as old chaps, who enjoy both the indoor air-conditioned ambience and the outside, sunny street corners, chatting heartedly with friends and co-workers. Add to that the incredibly yummy and healthy Mediterranean diet, largely based on fruit, vegetables and olive oil, and you get a bunch of Jews who are relatively fit and absolutely handsome. And conclude with long beaches and a never-setting sun, and you get something like California, but holier. For years, some of my friends have tried to convince me to make the most reasonable decision by staying abroad. I would be lying if I told you that the temptation wasn’t there, usually quite dormant, but at times, vibrantly itching. But after living by myself on three continents for six years and retuning home at the age of 25, I doubt it that I will consider such an idea seriously ever again. Israel is the only place that is right and truly fun for Israelis. Leaving Zionism, brain drain and religion aside, there is no better place for Israelis other than our very own country. It may sound completely bizarre at first. It may take years of living abroad to realize that. My recommendation, however, is to check out for yourself the validity of my argument. If you find yourself back in the Jewish heart of the Middle East after a long journey abroad, let us all know. And more importantly, don’t forget to remind us why you came back. Shira Kaplan is a Harvard student. She is currently completing her thesis on Iran’s crisis behavior in the post-revolutionary era. She served in the Israel Defense Forces for two years before enrolling at Harvard. When Lori Schneide was 16 years old, she lived in India for the summer. When she finished college, the Reform Jew from Long Island decided she would travel the world to continue studying arts and literature. But when she landed in Ireland on Yom Kippur, she decided to go to synagogue. “I sat up and opened the old machzor covered with peach fuzz and started crying,” she said. Six months later she ended up in Israel, first on a kibbutz, then in Jerusalem, then in the spiritual city of Safed at a yeshiva for newly observant women. Over the next decade and a half, Schneide’s religious journey took her to Chasidic, Orthodox, Conservative, Reform and Reconstructionist institutions, from Israel to New York to Philadelphia and now Los Angeles, the place she hopes to make her spiritual home — at Temple Shalom of the South Bay, to be precise. The Hermosa Beach-based synagogue recently hired Schneide, now 36, to lead the burgeoning synagogue, which is in the process of officially joining the Reconstructionist movement. Which is precisely the outlook that appeals to Schneide, after her long and diverse religious journey. For example, her immersion in Orthodoxy — learning with the Breslover Chasidim in Israel and studying at Drisha in New York — was only part of her educational process. “I always knew I was just passing through,” she said. And although she grew up Reform and even worked as assistant principal at an Upper East Side Reform school, “I knew it wasn’t Reform.” When she decided to become a rabbi, she went to the Conservative-affiliated University of Judaism (now the American Jewish University) for a year of prep work. It was there she studied the writings of Rabbi Mordecai Kaplan, the founder of Reconstructionism. Schneide, a vivacious and passionate woman with curly long brown hair, worked as education director at Kehillat Israel, a Reconstructionist synagogue in Pacific Palisades, and then attended the Reconstructionist Rabbinical College in Philadelphia for four years and is finishing her master’s degree there. She is completing her rabbinic training at the nondenominational Academy for Jewish Religion in Los Angeles. Temple Shalom was founded three years ago as a religious school and later became a synagogue. Founders had always wanted it to be a Reconstructionist synagogue, but the most recent rabbi was affiliated with the Jewish Renewal movement. When he resigned in December, “We felt this is our chance,” said board member Carol Risher, who has attended the synagogue since its first service. “There is an interest in Reconstructionism,” Risher said, noting that when the synagogue held adult education classes on the subject, “many people said, ‘Hey, this is where I’m at, this is who I am.’ With Reconstructionist synagogues an hour away — Kehillat Israel in Pacific Palisades and University Synagogue in Irvine — Temple Shalom fills a need,” she said. Temple Shalom has 85 families and about 100 children. The last piece of the puzzle was hiring Schneide. She is also concerned with her own generation, X, and the next, gen Y.
Schneide does feel privileged, even though she lives at a crossroads of generational Judaism. “Being a rabbi is the most unbelievable privilege of a lifetime,” she said. She compared it to how God created the world by tsimtsum — pulling back — so that the universe could be created. “All you do as a rabbi is pull back, pull back, and make space to shine,” she said. In real life, Leo Goldberg doesn’t dance and sing. But at Camp Gilboa, where he’s spent summers for the past 9 years, Leo Goldberg dances. And he sings. A lot — and loudly. With 140 kids at a rented facility in the mountains near Redlands, Camp Gilboa is the smallest of Southern California’s Jewish residential camps. One of seven camps in North America affiliated with the Labor Zionist movement’s Habonim Dror youth arm, the camp is dedicated to social justice, cultural Judaism, Israel — and socialism. While the political socialism of the movement’s founding is no longer pushed, the idea of communal living and mutual responsibility is still central to the camp’s unusual identity. Campers help prepare meals, wait and bus their own tables and clean the bathrooms — really clean, because there are no janitors to pick up after them. All care packages are pooled and divided, and rather than a canteen with parent-backed tabs for soda and candy, kids put their money into a general fund that is democratically administered for things like replenishing toiletries, bunk parties, or charity. The camp is culturally Jewish — the kitchen uses kosher meat and doesn’t mix meat and dairy, and Shabbat is marked by Israeli dancing and discussion of the weekly Torah portion. Daily activities include Hebrew hour and educational interaction, and while there is a rock-climbing wall and unheated pool, there are no basketball courts. Counselors are in charge of all activities from wake up through lights out — there are no specialists — and despite getting paid a pittance, they come back, summer after summer. “I love camp. It’s what I look forward to all year, and then I look forward to doing it again,” says Zak Greenwald, a student at UC Santa Cruz who has been a counselor for three summers. Not long ago, it wasn’t clear if the camp would survive. Founded in the 1936 in Saugus by American socialist Zionists energized by the budding Jewish state, Camp Gilboa mimicked Kibbutz communal living. The camp flourished on its own site in Idyllwild through the 1960s and into the ’70s, when, like many other Zionist youth movement camps, it began to decline. The New York Habonim camp closed in 1984; in California, camps affiliated with the Zionist youth movements B’nei Akiva, HaShomer Hatzair and Young Judea didn’t make it through the 1990s. Camp Gilboa was sold and shuttered in 1982. “The fact is the role of Israel in American Jewish life declined, and didn’t have the emotional pull,” said Bea Chenkin, the volunteer executive director of Ameinu, formerly the Labor Zionist Alliance, which along with Naamat USA supports the camp. Chenkin, who worked in Jewish education for more than 50 years, has been involved with the Labor Zionist movement since she was a child in Chicago, and her five kids went to Camp Gilboa. “If we said to people, ‘Send your kids to camp and it’s like sending them to a Kibbutz,’ it didn’t resonate with a lot of people in the same way it did when we were building and creating a state,” said Chenkin. In 1995, a group of Gilboa alumni, who couldn’t stand the thought of their children not having the same life-changing summers they’d had, got the people and the funds together to rent a site and reopen the camp. With no teenage alumni to tap as counselors, it was a slow, but passionate start. Today, most of the staff — including the head counselor and the executive director — are alumni of the reborn Gilboa. In the past two years, enrollment has grown by 30 percent, thanks to Gilboa’s increasingly prominent alumni presence in the community, word of mouth marketing and an enviable retention rate. Organizers are looking toward purchasing a new site within the next five years. “There is a group of kids and parents who love Israel and are interested in expressing their Judaism culturally and having a strong Jewish identity and connection with Israel. And they find us, and we find them,” said executive director Rachael Sevilla. Sevilla is the only paid administrator at the camp; a volunteer shaliach (emissary) from Israel has a living stipend paid by the Jewish Agency. A camp committee of parents and alumni take on tasks such as recruitment, registration and fundraising, and work with Sevilla to plan the summer. The youths themselves run monthly year-round activities. The entire budget of the camp and other programming is about $200,000, which is covered primarily through tuition, with some fundraising. Part of the camp’s success has been its ability to repackage itself for 21st century needs, while retaining the core values that created the loyalty in the first place — a love for Israel and Judaism, and the communal and egalitarian standards of socialist philosophy. During the year, for instance, a weekend retreat in New York will cost the same for a Californian and Midwesterner, because the price is set to cover travel costs equally for everyone. In the yearlong pre-college Israel program, kids live in a co-op style arrangement with a joint fund and work with underprivileged populations. At camp, those ideals are reflected in the work kids do around the campus, from gardening to scrubbing toilets to building bookshelves, and in their depositing their weekly allowance into a kuppah, a general fund that a bunk decides how to spend. The approach gives kids a sense of ownership and community. Every morning in the shower, financial guru, TV personality and best-selling author Suze Orman says a prayer — “I ask for forgiveness and relief for all whom I did harm, and forgiveness and relief for all who harmed me” — and she has been doing so for as long as she can remember. But it wasn’t until a few years ago, during a trip to Chicago for an appearance on “The Oprah Winfrey Show,” that Orman learned the provenance of the prayer. She happened to be in town during Yom Kippur and decided to join her mom for High Holy Day services. Orman’s hands-on style and natural charisma have made her a favorite of many, particularly women, who used to avoid financial guidance. This is largely because Orman’s approach to handling finances, as seen in her best-selling books and in her popular TV program on CNBC TV, is part of a larger path to self-empowerment. There are also a few subtle spiritual elements in her road to stability and contentment. After giving a recent talk at Manhattan’s 92 Street Y, Orman spoke to the Forward about her connection to Judaism. Though Orman is not a practicing Jew, her people-first attitude and spirituality have nonetheless been impacted by her Jewish roots. She grew up on Chicago’s south side with a father who had come from Russia and a mother whose family had emigrated from Romania a generation before. Her father was a feather plucker of nonkosher chickens, and her mother worked for a rabbi at a local congregation. Occasionally the mother’s work, the rabbi, would stop by when her family was eating the father’s work, nonkosher chicken, and they would quickly scramble to hide the treif. In 1971, during her sophomore year in college, Orman borrowed $400 from an aunt and then headed to Israel to work on a kibbutz. Orman was ultimately heartbroken by the trip. Unable to feel any closer to Judaism in Israel, she came back disheartened about the religion. Years later, after her interest in eastern spirituality was piqued, she made a similar quest to India, though she did not end up finding any answers there either. Despite the fact that Orman has not been associated with Judaism in any traditional sense for decades, this search for purpose continues to inform her work. She says she is still a spiritually inquisitive person and that she has never stopped contemplating the concept of God. In fact, when Orman was in the process of writing her book “The Courage to Be Rich: Creating a Life of Material and Spiritual Abundance” (Riverhead Trade, 1999), one of six that have spent a considerable amount of time on the New York Times Bestseller List, she called upon her aunt’s rabbi for title ideas. She had been thinking about the haftorah portion she read at her bat mitzvah, and she wanted to be reminded of its significance. How rich? Orman’s net worth has been estimated at more than $25 million, with more coming in from her real estate investments, media appearances and books. (Her most recent book, “Women & Money: Owning the Power to Control Your Destiny,” was published in February by Spiegel & Grau.) As for Orman’s courage, it’s evident in both her approach to financial investment and her personal life: She caused a media stir — a risky move for such a high-profile media figure — when she came out as a lesbian last spring in a New York Times Magazine interview. While Orman credits Judaism with some of the philosophical aspects of her advice, she doesn’t feel the same about her aptitude for managing money. “I know there is this perception that Jews are really good with money. I don’t know if it is a reality,” she said. In fact, she offered some specially tailored advice for the current generation of 20- and 30-somethings who — as a result of being raised by an overall successful group of second- and third-generation Americans — might not be so good with money. Ofri Bar-Am, 19, folds her legs underneath her on a library couch and peers closely at a photocopy of the biblical passage describing the oldest recorded case of sibling rivalry in history, Cain and Abel. A student at the first secular yeshiva in Israel, Bar-Am underlines phrases, scribbles notations and promptly dives into a psychological and theological discussion with her study partners about the story’s layered meanings and relevance. Bar-Am is part of an incoming class of 30 young, nonreligious Israelis who, like her, are combining study at the secular yeshiva with army service. A total of 150 students are attending classes here. The Secular Yeshiva of Tel Aviv, which receives funding from The Jewish Federation of Greater Los Angeles, has students divide their time between studying Jewish texts and volunteering in economically disadvantaged areas of south Tel Aviv, where the yeshiva is located. There they do informal education projects with local elementary school students and after-school programming for them. The goal is to give young, secular Israelis an education that will show them that they too have a rich culture to tap into and explore. Like many Israelis, young and old, those that come to the yeshiva know little about Judaism and feel alienated from religion, which they view as the domain of the ultra-Orthodox. There’s no expectation or even intention for religious observance to follow. Instead, the yeshiva’s founders hope students will gain an appreciation for religious pluralism and a desire to fuse their newfound knowledge of Judaism with work for social justice and human rights. The yeshiva is a project of BINA, the Center for Jewish Identity and Hebrew Culture, sponsored by the United Kibbutz Movement. The organization hopes to strengthen pluralism and democracy in Israel by focusing on the humanistic aspects of Judaism. “One of the reasons for the secular yeshiva is to counter the mindset of the opposition to Judaism as only a religious concept. We are here to give a different answer,” said Tal Shaked, 33, a former lawyer who serves as yeshiva head. “I want to see people who are more socially minded, so the study is based not just on analyzing texts but seeing how these ideas can be applied as individuals and as members of Israeli society,” she said. About half of the 30 students currently studying ahead of their army service pay tuition and follow the yeshiva model of studying from early morning until late at night, studying in pairs known as chevrutas. The other half combine their yeshiva studying and volunteering with odd jobs to support themselves. Organizers hope to win official recognition from the government as a combined yeshiva-army program, a type that exists in the Modern Orthodox community and receives state funding. Another group of post-army students also combines study with work and, like the others, lives in communal apartments in the Shapira and Kiryat Shalom neighborhoods of Tel Aviv. Eventually the plan is to be able to accommodate some 500 students. There are teachers from the three main streams of Judaism: Orthodox, Conservative and Reform. The yeshiva receives funding from the New Israel Fund, the Commission on Jewish Identity and Renewal, as well as from federations in Los Angeles and New York. It reflects a trend in recent years of secular Jewish Israelis seeking a stronger connection to a heritage muted by the founders of the state, who preferred to detach Judaism from Zionism. Several centers have opened in Israel that have begun to introduce Jewish text study to a secular audience. This yeshiva, however, is the first seminary of its kind in Israel. “I think Israeli society has paid a price for Zionism’s attempts to cut out religion. It has created an identity crisis,” said Ariel Nitzan, 18, from Kibbutz Lotan, who will be doing a half-year of work-study at the yeshiva before joining a combat unit in the army, then returning for a period to the yeshiva. Dana Ben-Asher, 19, said she was always interested in Jewish topics but on Kibbutz Dorot, where she grew up, the focus was on socialist Zionism, as it is at most secular kibbutzim. “We would build a sukkah and would ask why, and all the answers would be about pioneers and the importance of being Israeli,” she said. The yeshiva students complain that in high school they were taught the Bible as a dry, impersonal subject. Avigail Graetz, 30, a playwright and teacher who gives a course at the yeshiva on sibling relationships in the Bible, grew up in Israel’s small Conservative movement. “They don’t even notice how they peel the layers back,” she said of her students’ astute analyses in her course. Over Yom Kippur, dozens of yeshiva students and their friends gathered at the community center in Tel Aviv that is the yeshiva’s temporary home. There they listened to commentaries and did group study and personal reflection. Ben-Asher said it was the first time she had marked Yom Kippur in any kind of meaningful way. Chipping Away at Israel Support Endangers U.S.
desire by Israelis for a lasting, mutually beneficial peace with hostile neighbors. At the time of my visit, I was a recovering ultraleftist who was open and generally sympathetic to the issues of Palestinians. But what is seared in my mind is the experience of sitting with a young woman during a lunchtime visit to a kibbutz near the Syrian border. On her lap sat her 3-year-old son and an automatic rifle was casually slung over her shoulder. She said guns could never do that. “Only a true and lasting peace with our neighbors can insure my child’s future” the woman told me. I was thinking about that young Israeli as I watched rockets slam into Israel’s cities over the past few weeks. Israel is getting lots of bad press these days. Easily influenced reporters from the BBC to CNN have made the argument — in one way or another — that this tiny Jewish state responded “disproportionately” to attacks from Hamas and Hezbollah — raids that killed Israeli soldiers and kidnapped others. Parroting Hezbollah spokesmen, Israel’s Western opponents tell us that Israel has targeted civilians and United Nations personnel intentionally. This charge mimics the age-old anti-Semitic slur of Jewish blood lust, since those making this charge are hard pressed to explain how indiscriminately killing Arab civilians would serve Israel’s interests. War is always a nasty affair — in this case complicated by terrorist operations that intentionally launch missiles from crowded urban neighborhoods, where innocent Lebanese civilians live. In other words, Iran-sponsored Hezbollah fighters cynically know that their actions will draw an immediate and deadly response, a reply that may mean death for innocent Lebanese civilians near the launch site. The resultant photos of death and destruction provide an all-important public relations advantage among willing Western media sources, as well as for the Al Jazeera network. Harvard law professor Alan Dershowitz points out that in various wars with enemy forces, Israel has killed far fewer civilians in proportion to the number of its own civilians than any country engaged in a comparable war. Yet, Israel is cited by the merlot-sipping set as the prime example of human rights violations. Arguments of this kind are made with vigor and conviction in places like France and in the capitals of other European Union countries, where anti-Semitism is rampant, but are made, as well, by many here at home. It is part of a larger and disturbing pattern. On the heels of this, top human rights officials at the United Nations have said that Israel’s bombing in Lebanon “might constitute war crimes,” while generally avoiding comment on the indiscriminate shelling of cities in northern Israel by Hezbollah rocket fire — intended only to kill and maim Jewish civilians. Some argue that the views of America’s hard left are marginal, and others see the United Nations as the emperor with no clothes. However, there is an undeniable influence here that cannot be disregarded. Chomsky — along with Marx, Shakespeare and the Bible — is one of the 10 most-quoted sources in the humanities, and despite ongoing scandals, the United Nations remains to be considered by many Americans to be a voice for peace. The United Nation’s unsavory role in places like the Congo, Yugoslavia, Rwanda, Sierra Leone, Zimbabwe and Iraq remains unknown by many, although evidence from these places tells us that the United Nations may well be the world’s prime example of corruption, conciliation of dictatorships and moral timidity. Giving new meaning to the word chutzpah, the United Nations has singled out the State of Israel for human rights condemnations more than any other nation in the world. This is more than a bit odd — since the world includes nations such as North Korea, Sudan and Cuba, among a host of others that ignore the concept of human rights. And if all of this were not enough to test one’s patience, the Southern California chapter of the ACLU has decided to honor Salam Al-Marayati with its Religious Freedom Award at the group’s upcoming garden party. Terrorism with a smile? For this brand of “tolerant” thinking he gets a religious freedom award. Obviously, it is not just leftists and Muslim or Arab American advocacy groups that blame Jews for almost everything. Mahmoud al-Mashhadani, Iraq’s parliament speaker, recently accused Jews of financing acts of violence in Iraq. This kind of high-level bigotry raises questions about the future of Iraqi democracy and should — if Sept. 11 didn’t adequately do that — raise our antenna to the deadly serious nature of the international struggle against radical Islamism. The warfare in the Mideast reverberates close to home. Is this simply Israel’s war to win or lose? As William Kristol has pointed out, “Better to say that what’s under attack is liberal democratic civilization, whose leading representative right now happens to be the United States.” Israel can’t afford to lose this conflict, nor can we. Here at home, those who chip away at American’s resolve to support Israel are chipping away at our own freedoms. Joe R. Hicks is a social critic, the vice president of Community Advocate. Inc. and a talk radio host in Los Angeles. Visitors to Israel are often looking for a spiritual uplift, and one of the country’s best-kept secrets for achieving that transcendent state is not found in Jerusalem’s Old City. Perhaps it is the oxygen-rich air coupled with the high-concentration of relaxing bromide. Or maybe it’s the lure of natural therapeutic essences in the surroundings of scenic beauty. Simply put, there is no better place to unwind and rejuvenate than in Ein Gedi country. Located on the western shore of the Dead Sea, the lowest spot on the planet, Ein Gedi is the site of some of the highest concentrations of medically beneficial minerals in the world. As if that is not enough, the depth of the region allows for maximum filtration of the sun’s otherwise harmful rays, and the higher air density naturally lowers blood pressure while supplying the body with additional oxygen. It is no wonder that King Solomon, touted as the wisest man to have lived, extolled the virtues of Ein Gedi in his writings, and the prophet Ezekiel described wonderful visions of its landscapes. At the heart of the region sits Kibbutz Ein Gedi and its adjoining resort hotel, the Ein Gedi Country Hotel, the only populated botanical garden in the world. My husband and I were welcomed to a semiprivate narrated tour by long-time kibbutz member, Daniella, who cheerfully takes visitors around in her golf cart, showcasing the fragrant wonders that span the entire kibbutz, including the cactus garden interspersed within. The botanical garden boasts a wide range of desert plants from the four corners of the world, as well as tropical flora from various rain forest regions, grown with no exceptional cultivation techniques. Biblical plants such as myrrh and frankincense grow among date and other palm trees, as well as Sdom apple trees. Daniella pointed out a small zoo, miniature golf course and an Olympic-sized pool with spectacular views of the Jordanian mountains to the right and the mountains of Ein Gedi to the left. She did all of this while simultaneously explaining the history of the kibbutz, which is nothing less than a modern-day miracle, a man-made oasis amid a barren desert that was founded in 1956 by a group of army recruits who dreamed of making a home in the Judean Desert. The rooms offered by the hotel are as varied as the gardens that surround the kibbutz. Among the options available are the Botanical Garden Room, surrounded with a tranquil desert garden environment; the Romantic Room, with luxurious Mideast-themed décor and a Jacuzzi; and the Arugot Room, decorated in a rustic desert style with views of the Wadi Valley. Meals at the Ein Gedi Country Hotel are delectable. Breakfast features a combination of continental and Israeli buffets, including 10 varieties of cheeses and yogurts. Dinners are equally sumptuous, with soups and meat, fish and poultry dishes and a Viennese table for dessert. However, anyone allergic to nuts will find themselves without much of a dessert selection. Despite the stunning grounds and the amenities offered at the kibbutz, I suspect that this is not what keeps tourists coming back. It’s something in the air that makes you feel like you are floating through the day, drifting about in a magical oasis without a care in the world. The locals say it’s the bromide in the air that has a calming effect. According to our guide, even people with one lung breathe well in Ein Gedi due to the increased circulating oxygen. We returned to the lobby and noticed a sign that read: “Unwind and detach yourself from daily stress with yoga under the baobab tree at 5 p.m.” That must be for newcomers, because I can’t imagine anyone feeling an ounce of stress here. Our attention turned to the holistic treatments offered at the kibbutz’s Resort Hotel. Ayurveda treatments are offered for additional charge, but we decided to forgo those in favor of visiting the Wellness Centre at Ein Gedi Spa, which is free to guests of the Country Hotel. The spa, on the shores of the Dead Sea, is only a short ride away by free shuttle service from the kibbutz lobby. A range of treatments, from Swedish massage to Thai or Shiatsu therapy, are offered at the spa, as well as mud wraps, peeling treatments with Dead Sea salts and aromatic oils, designed to remove dead skin cells and leave skin silky smooth. We proceed to survey the grounds of the Ein Gedi Spa, nature’s treasure-trove in the deepest of the earth’s depressions. There were a few tourists by the mud area in the late afternoon when we arrived. We joined them spreading mud over our entire body, scalp included, letting it work its wonders in silence. I noticed that a number of men had an abundance of mud in their hair, covering their entire scalp. Apparently the mud is known to draw blood circulation up to scalp, and increasing blood circulation can encourage new hair growth. We showered in hot sulfur spring water, and I relished in the oily residue that would renew my skin. Floating in the Dead Sea, warm and buoyant, was an experience in itself. The exceptionally high salinity and variety of minerals dissolved in the sea provide both chemical and mechanical therapeutic action. After rinsing off once again, we were treated to a swim in the spa’s freshwater pool and a late-afternoon snack near the solarium, where people with various skin disorders alternated sunning themselves with bathing in the thermo-mineral baths or in the Dead Sea to get relief from their ailments. The treatment is so effective against various auto-immune disorders, including rheumatoid arthritis, that the Danish government pays for its citizens requiring such care to spend one month a year at Kibbutz Ein Gedi and its spa. For less than $5, the kibbutz offers guided hikes through the nearby nature reserves of Ein Gedi National Park, known for its natural sweet water springs and waterfalls, which flow between two wadis. Flowing from a hill in the center of the oasis is the Ein Gedi Spring, which supplies mineral bottled water to the Israeli population, and runs from the taps of all faucets at the kibbutz. Close to the spring intersect several trails that lead to the Najar Scenic Overlook, the Dry Canyon and the David Waterfall. In addition to a Masada tour, the kibbutz also offers a 45-seat safari jeep with half- or multiple-day Judean Desert excursions, including a moonlight tour, a biblical weekend trip and a Spice Route trek. At the end of a wonderful day, it’s as if I’ve been given a taste of the Garden of Eden. Ein Gedi is a true delight for the senses, a retreat for the mind and body, a place where heaven meets earth and the rare spot where man lives in perfect harmony with nature. Kibbutz Ketura, in the south of Israel, is a small, quiet agricultural settlement, with a rich tradition of community celebration. Behind the kibbutz looms a stately limestone cliff that can be reached by a 45- minute climb up a well-worn goat path. The view from the top of the cliff is stunning, particularly at sunset, when the red mountains of Jordan on the opposite side of the Arava Valley turn radiant shades of pink and purple. With Ketura and its neighboring kibbutzim laid out in crisp panoramic detail, one might easily miss the seemingly irrelevant series of nine giant ashcans that stand along the edge of the cliff like silent, rusted sentinels. But they are one of the most important cultural icons of this little kibbutz. This is the community’s Chanukah menorah. Each night of Chanukah, a different child from Ketura’s b’nai mitzvah class ascends the mountain at sunset, accompanied by a parent, and lights the Menorah. This is by no means a simple task. First, though, the climb itself is a rite of passage, which the children generally have mastered by the age of 5. In the winter it may be cold or windy and, by definition, the harrowing descent is under cover of darkness. Moreover, there is a complicated series of primitive tools employed in order to light this somewhat makeshift arrangement. On this night, I am the parent, but as such, I am only a passive participant. The menorah is prepared and lit by my daughter, the bat mitzvah. First, there are rags, pilfered from the kibbutz laundry, which are stuffed in the top of the cans and soaked with diesel fuel to serve as giant wicks. Special care must be taken to load the central ashcan, perched higher than the others on a bump in the hill. This is the “shamash.” Then, an old, dry palm frond, stripped bare of its leaves and crowned by fuel-soaked rags, becomes the torch to light the “candles.” All is prepared. We wait. We ponder the vast emptiness of the desert and the stunning good fortune that has befallen us that we may be allowed to call this little spot of heaven our home. Just as the darkness begins to descend on the valley, it is time. My daughter pulls out the matches and prepares to light the shamash. Together, standing in the wind, we couple a modern tradition and an ancient one and recite the blessings. “Asher kidshanu” (We have been commanded); “she’asa nisim” (He has performed miracles for our ancestors), and, of course, the blessing that never fails to move me, “Shehechiyanu.” He has brought us this far. This far to this place in our lives. This far to this spot in the world. This far to this moment. This far to this mountain, to this celebration of miracles, ancient and modern. The lighting itself is dramatic. Moving with simple grace through the darkness, my daughter lights the torch and, finally, returns the torch to the shamash. We gaze in silent awe for a few minutes before we begin our descent, constantly looking back over our shoulders at the flames that can be seen for miles. Below us in the kibbutz, though we can’t see them, we know that families are gathered outside, staring up at the menorah that we have lit. The little children are pondering the homemade miracle of lights and the adults are perhaps pondering other miracles. Together, as if cued by the menorah on the mountain, the families will each go back inside to light their own little menorahs and say their own blessings. The Jewish people are a people of endless cycles. Relearning the Torah every year, rebuilding the sukkah every year. Recounting the omer and rehanging Haman. When my daughter and I reach the bottom of the mountain, just before we return home through the back gate of the kibbutz, we look up one last time, and without a shred of self-consciousness, we sing a lusty chorus of “Maoz Tzur.” One more cycle rekindled, one more reinterpretation of an ancient tradition. One more generation. Chag Sameach. Shehechiyanu. Bill Slott is a licensed Israeli tour guide, educator and cantor. He lives on Kibbutz Ketura in Israel’s Arava Desert with his wife and three daughters. Israeli director Eytan Fox makes films that open on a rousing patriotic note of rugged Israelis battling the enemy, before gradually exposing the chinks in his country’s macho culture. His widely acclaimed “Yossi & Jagger” began with an elite Israeli unit facing infiltrators from Lebanon on a snowy mountain top and evolved into a clandestine homosexual love affair between the company commander and his sergeant. His current film, “Walk on Water,” lures the viewer by posing as an old-fashioned thriller, in which a hard-as-nails Mossad operative, who specializes in quietly terminating terrorist leaders, is assigned to finish off an aged Nazi war criminal. By the end of the film, Fox has cast a provocative eye on the awkward relationship between today’s Germans and Jews, Israeli attitudes toward Palestinians, the gay scenes in Berlin and Tel Aviv night clubs and the psychology of a professional killer in the service of his country. At the opening, top Mossad agent Eyal, played by Lior Ashkenazi, one of Israel’s most popular actors, is in Istanbul, stalking and quietly eliminating a terrorist leader in front of his wife and young son. Feted with champagne toasts by his colleagues on his return, Eyal is given an unwelcome new assignment by his boss — to find and kill Alfred Himmelman, an aged Nazi mass killer of Jews, who has been in hiding since the end of World War II. Himmelman’s blonde granddaughter, Pia, has rebelled against her background by living and working in a kibbutz, and is visited by her brother, Axel, who wants to persuade her to return to Berlin for their father’s birthday party. Hoping to learn the Nazi’s whereabouts, Eyal poses as a tourist guide and he and Axel embark on a trip from the Dead Sea to the Sea of Galilee. Although the young German declares himself an expert on circumcised penises across Europe, it takes Eyal an astonishingly long time to catch on that Axel is gay. The brief exchange reflects Fox’s own outlook. Before the film ends — and we won’t give away the ending — Eyal undergoes a lengthy soul-searching process in which he must re-examine his role in the Mossad and his prejudices against Germans, Palestinians and gays. As a bonus, scenes of idealized kibbutz life and of swinging Tel Aviv at night should boost tourism to Israel. Fox is one of a trio of American-born Israeli filmmakers who are sharply questioning Israel’s predominant social and political beliefs in critically and commercially successful pictures. Eytan Gorlin, also from a yeshiva background, is the third director, whose “The Holy Land” probed the danger of religious zealotry. It is to Israel’s considerable credit that such self-critical films are not only accepted by the public, but are largely subsidized by government funds. Would that Hollywood and the National Endowment for the Arts, in the powerful and secure United States, showed a similar level of moral courage. “Walk on Water” opens March 4 at three Laemmle theaters — Sunset 5 in West Hollywood, Town Center 5 in Encino and Playhouse 7 in Pasadena. For additional information, visit www.laemmle.com. It was a sign of folk singer Naomi Shemer’s importance to Israel’s national psyche that her death relegated the Israeli-Palestinian conflict to the inside pages of the nation’s newspapers. Saturday’s death of Shemer, at the age of 74 from cancer, spurred Israeli Prime Minister Ariel Sharon to open his weekly Cabinet meeting with a eulogy and the Education Ministry to order all schools to spend an hour in the classroom remembering Shemer. "Using marvelous lyrics and melodies, she succeeded in connecting us to our roots, to our origins, to the beginnings of Zionism," an emotional Sharon said at the Cabinet meeting. "Today, when we part with Naomi Shemer, we bow our heads in sorrow and are grateful for the wonderful gift Naomi gave us." Perhaps best known for her song "Jerusalem of Gold," or "Yerushalayim Shel Zahav," a paean to Israel’s capital written shortly before Jerusalem’s Old City was captured by the Israelis in the 1967 Six-Day War, Shemer penned and performed countless songs that captured the national mood and drew on her kibbutz upbringing. Set to guitar, the melody of "Jerusalem of Gold" and the haunting descriptions of Jerusalem’s ancient edifices resonated for Jews worldwide. In the Soviet Union, it inspired hope among Jewish refuseniks. "It was the most Israeli thing we could think of, and we knew that in Israel the song had become something of a national anthem," recalled Natan Sharansky, a former Soviet political prisoner and now Israel’s minister for Diaspora affairs. "Al Hadvash Ve’al Haoketz" — "Of the Honey and the Bee Sting" — spoke of the joy and sorrow that invariably intertwine in Israeli lives. In 1973, Shemer composed "Let It Be" — "Lu Yehi" — an Israeli version of the famous Beatles tune, to inspire optimism in an Israel demoralized by the heavy losses of the Yom Kippur War. Following the assassination of Israeli Prime Minister Yitzhak Rabin, in 1995, Shemer translated American poet Walt Whitman’s "O Captain! My Captain!" into Hebrew, put it to music and dedicated it to Rabin’s memory. The messages of Shemer’s songs still hold currency in Israel today. Her songs enjoyed a revival in public singalongs after the outbreak of the Palestinian intifada in September 2000. She went on to write dozens of Israeli favorites as well as numerous children’s songs. "The death of Naomi Shemer has for some years hovered like a little black cloud, a possibility, in the ‘light blue yonder’ about which she was composing even in her first songs," commentator Doron Rosenblum wrote in Ha’aretz. "And even back then, the occasional hint came up of a possible end, or parting one day from the light blue adventure of our lives in this land." Shemer was buried Sunday evening at Kibbutz Kinneret, her birthplace, overlooking the lake about which she wrote so many songs. She asked that no eulogies be delivered at her funeral and that mourners instead sing three songs, including her famous "Eucalyptus Grove," or "Churshat Ha’Icalyptus." After her death, Israeli President Moshe Katsav said, "In her song, Shemer bequeathed us landmarks in the life of the country. Her songs voiced a great love for the state and the people of Israel." From Los Angeles, Israel is 20 hours away by plane and 10 hours ahead on the clock; it’s also a world apart. But in the past 55 years of the State of Israel’s independence, thousands of Jews have made aliyah from L.A., generally forfeiting a more comfortable lifestyle to follow their dreams. Why did they move there? How did they do it? How do they feel about it in hindsight? How has the country changed since their arrival? The Jewish Journal went to Israel to speak to former Angelenos, to find out how life in the Jewish state compares to life in the Golden State. Tahg Adler is at the cusp of his youthful idealism, the end of the period when dreams give way to the reality of, say, putting food on the table. The bright light of conviction still emanates from his blond California face as he talks about his move back to Israel. “I felt a sense of attachment, a sense of belonging,” the 26-year-old explains from Atara’s Cafe in Rehavia, the upscale Jerusalem neighborhood in which he has lived since the fall. 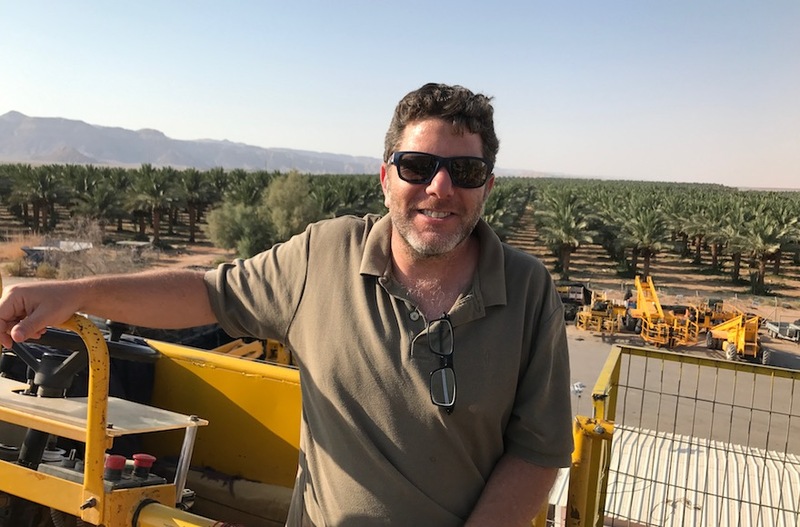 Adler has been back and forth between California and Israel for a number of years, first attending the Otzmah one-year program in 1988, after receiving a B.S. from San Diego State University. He returned to California to become the American Israel Public Affairs Committee’s West Coast student organizer and made aliyah in January 2000, at which time he took intensive Hebrew at Ulpan. He then served in the Israeli army for nine months, until a stress fracture resulted in his release three months early. It was back to San Diego for grad school in exercise physiology for him, but he quickly realized “he wasn’t feeling it,” he says, because “I wanted to go back to Israel.” In order to keep that connection, he came to Los Angeles to work at the Israel Aliyah Center as a program recruiter to encourage students to go on programs to Israel. It’s not hard to see why students might be encouraged by the passionate Adler, who had been voted model soldier when he served in the Israel Defense Forces (IDF). During his time in L.A.,the center sent some 160 students on programs to Israel, the feeder for future aliyah. “I wanted to take my experience and pass it on to other students,” says Adler, who believes he was successful because he actively went out to campuses, Israel fairs and Jewish events to engage students and help them find the right program to go to Israel. Despite the fact that they were successful during such a tough year of tourism for Israel (“many more students wanted to go, but their parents wouldn’t let because of security; instead they turned proactive about Israel on campus”), six months ago Adler decided to send himself — instead of others — to Israel. He continued to work with the Aliyah Center until February, serving as a touchpoint for some of the people he helped make aliyah, however, he is primarily focusing on his own acclimation. During the day, Adler takes on private clients as a personal trainer and also plays drums in a band. In addition, at the unusual hours of 5 p.m. to 1 a.m., he works for CSM (IDT in the United States) as a customer service representative for overseas telecommunications to the United States. “It allows me to live here,” he explains. Boy, does it reek at the Ma’aleh Gilboah milking center in the Jordan Valley. But Lenny Kaplan seems unaffected by the unusual surroundings of two rows of cows flanking him for their daily milking. Kaplan’s idealism is a product of his upbringing. Born in Seattle, Kaplan moved to Los Angeles when he was a year old and grew up in the Fairfax area, where his family attended Sha’arei Tefilah, and he went to Hebrew Academy. After the Six-Day War, his father, a Jewish educator at the school, decided to send Kaplan to Israel for the first year of high school, but Kaplan managed to extend his stay for the next three years. When Kaplan made aliyah in 1976, the Kibbutz had just started. Now with over 55 families — 300 people — it recently turned into a moshav kehilati, a privatized community where people earn their own living and reside in their own homes, as opposed to the communal, socialized ideal of the kibbutz, which in the last decade has been in great decline all over Israel, because the younger generation has not opted to live on kibbutzim. The Israel Defense Forces doesn’t quite know what to do with Ariella Askrin. Since she joined over a month ago. It’s one of those bureaucratic mix-ups that happen in Israel all the time, especially in the army and especially to new immigrants. “I’m kind of in the middle of a bunch of frameworks, and they don’t know where to put me, and it’s kind of hard,” Askrin says, sounding like a confused and scared 19-year-old. The mix-up centers around an old test score that shows Askrin’s Hebrew is not good enough to qualify her for the army course she wants. Askrin says her Hebrew has improved since she took the test, but in the meantime, she sits all day at the base in the Galilee and studies Hebrew with an IDF commander. “It’s really important, and it shows me that they care,” Askrin says about her personalized Hebrew lessons care of the IDF. Askrin’s move to Israel was not the steady religious-Zionist path. Born to a strongly Zionist father, Askrin grew up in West L.A. and attended Hamilton High School for two years and Santa Monica College on early admission. Last year, she went on the Young Judea one-year program. Before this current stint in the army, Askrin went on Ma’arva, a three-month army basic training program for foreign citizens, to see if she liked the army. On Ma’arva, she met her current boyfriend, who was a commander; when they’re off duty, they live together in Ma’aleh Adumim, a city outside Jerusalem. Although she finds living in Israel hard, scary and “at times, sad,” she thinks that she will stay. Los Angeles County Supervisor Zev Yaroslavsky and his older sister, Shimona, were raised in such a Zionist household, that their Russian immigrant parents spoke to them only in Hebrew in order to prepare them for life Israel. Founders of Habonim, the labor Zionist youth movement in Los Angeles, their parents were both Hebrew teachers and took the children to Israel for six months when Zev was 5 and Shimona was 13. “That clinched it for me,” says Shimona — now Kushner — explaining her move to Israel that fulfilled her parents’ dream a few years after her mother’s death. That trauma is what Yaroslavsky says probably caused the different paths that he and his sister took. “The question I’m asked is why she did and I didn’t [emigrate],” the supervisor says, wondering if his life would have taken a different turn had his mother not passed away when he was 10. “If my mother had lived longer, and if I had the opportunity to benefit from her mentorship during my teen years, maybe I would have made ailyah,” says Yaroslavsky, adding that his mother was the one who took them to Israel, and she was the one who gave them Bible lessons each Saturday morning. Not that Yaroslavsky’s career is something to scoff at: his commitment to Judaism, activism and support of Israel are a testament to his parents, but he is glad that at least his sister moved to Israel. Kushner’s parents indeed would have been proud — and perhaps even surprised — at where their daughter has ended up. After three sons, four grandchildren and a career as a professor at Haifa’s Technion University, Kushner, now 62, and her husband live in Cairo, running a research library for Israeli and Egyptian students. The library was created 21 years ago as an addendum to the peace treaty with Egypt to promote peace and understanding between the two countries on more than the diplomatic level. Egypt never opened a similar center in Israel, and since the intifada, attendance at the library has dwindled from about 20 students a day to five, although the number is increasing. Nechemia Myers has had one of those careers typical for new immigrants from the United States, doing a little bit of this, a little bit of that, before he did a lot of something else, finding an opening wherever English-speaking immigrants were needed. Also active in the Habonim as a child growing up in East L.A., Myers was 20 when he made aliyah in 1951 as part of a garin, the Hebrew word for seed, to build Kibbutz Urim for eight years. He then worked at the Israeli government press office in Jerusalem for four years, before finally settling into his job as the head of public relations at Weizmann Institute in Rehovot for 32 years. Along the way, and more frequently now that he’s retired, Myers has written for science publications, such as Nature, and for California papers, among them the San Francisco Chronicle, the now defunct Heritage and this publication. Looking back, his five decades were harder than they sound. “Certainly, it wasn’t easy,” Myers told The Journal. His time in kibbutz was the first time he ever went hungry. “Generally, I grew up with everything you wanted and there was no shortage of anything, the war [World War II] didn’t impact on someone living in L.A. Then you come here and you get a tiny piece of meat once a week; olives and bread were the major staples,” he said. How did he deal with it? “There are a lot of things that you can handle if you’re young,” he says. Recently, Myers attended a meeting with former Habonim members, and the question was asked that if knowing what they know now, would they make aliyah again? Some people said yes, and others said no, that if they knew what Israel was going to be like, they wouldn’t have made aliyah. First they made the desert bloom. Now they want tomake it pay eight-to-one in the fifth. Kibbutz Orim in the northernNegev desert has announced plans to build the first racecourse inmodern Israel. The kibbutz now farms flowers, paprika, wheat andcorn, and manufactures high quality bedding and linen. But beginningeight years ago, kibbutz member Shateike Shelef began a pilotbreeding program for thoroughbreds, and produced some of the finesthorses in the country. Now Orim is readying the next step: a flat,mile-and-a-half horseshoe-shaped track bordered by hay bails, withrunning rails for the last furlong. The track, set to open inOctober, will initially be “gambling-free,” according to a report inthe Daily Racing Form. But for the first time in Israel’s history,the races will be recognized by the International Racing Committeeand listed in the International Form Book. As you readthis, Daniel Ziv is celebrating his 35th birthday in Israel. He has every right to celebrate. While manyentrepreneurs his age are just beginning to achieve their goals, Zivhas his career in full stride. When Ziv founded Z Valet and ShuttleService at the tender age of 18, he was already a pro in the valetparking industry, having run a special-events parking company withseveral high school buddies. Today, Ziv runs the most successful special-eventsvalet parking company in the country, dispatching his gray-vestedarmies to movie premières, museum openings, exclusive partiesand other high society functions. Born in Seattle, Ziv grew up in a family awash inacademic accomplishments. His mother is a teacher, and his fatherworks as a top aeronautics scientist at the Technion in Israel. Zivspent much of his childhood shuttling back and forth between LosAngeles and Haifa. By age 13, Ziv started working a string of oddjobs, including running errands for Danny Kaye, Gregory Peck andCharlton Heston. He gradually developed the business chops thatlanded him into partnership while still attending Beverly Hills HighSchool. Around the time most teens start learning todrive, Ziv was already buying out his partners and going solo in thevalet parking industry. In fact, Z Valet’s first official assignmentwas the 1984 Olympics. Z Valet andShuttle Service now employs more than 600 valets, and it books — onaverage — around 40 events a week. The company also has asubdivision, called Z Parking, that services many restaurants andmuseums in town. In fact, his valets are so ubiquitous, Ziv has oftenarrived at a function to find his own employees waiting to park hisvehicle. Up Front recently spoke to Ziv as he prepared toleave for Paris, where he’ll attend the World Cup soccerchampionship.